Forget the tomato or cheese based sauces, it’s the season of greens! Try pesto. I love mint! I love it in drinks, I love it in chutney and I love it in desserts especially chocolates. However till now I had not used mint as the main ingredient of any savoury dish. 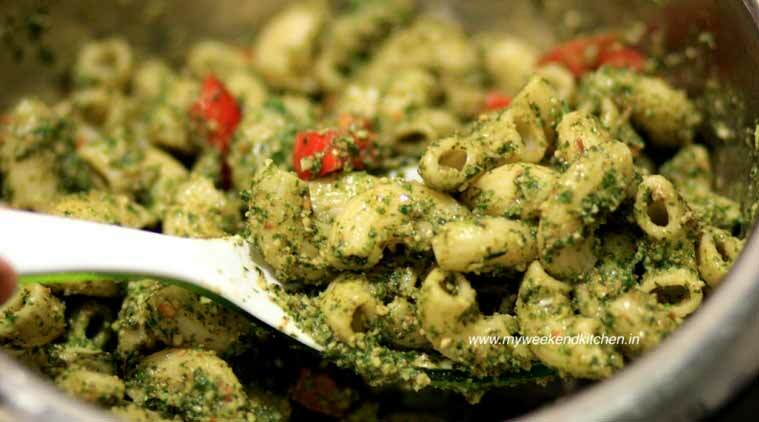 So yesterday when the vegetable vendor put a bunch of fresh mint in my basket, I thought of coming up with something savoury with it and the result was cold Mint-almond pesto pasta salad! Forget the tomato or cheese based sauces, it’s the season of greens! Try pesto. This one is a 5 minute pesto recipe. Requires no chopping and no cooking (except for the pasta of course!). * Drain well and run under cold water. Keep aside. 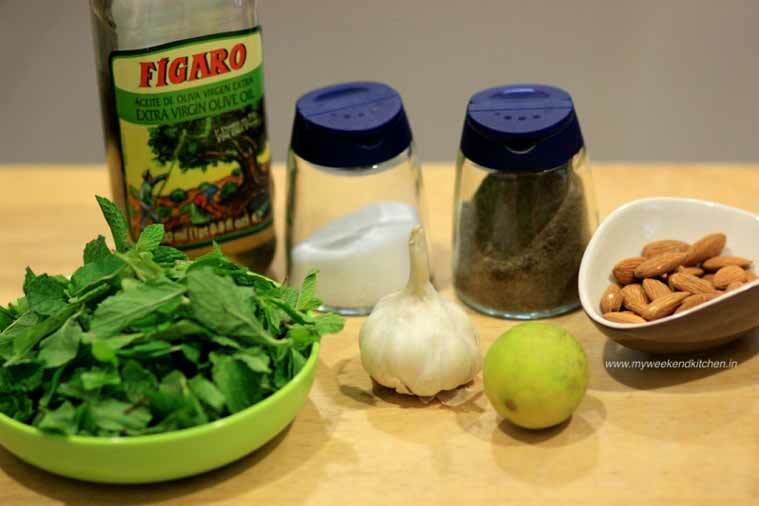 * In a food processor, pulse together mint, garlic, almonds, lime juice, lime zest, salt and pepper. * Chop the tomato into big chunks. 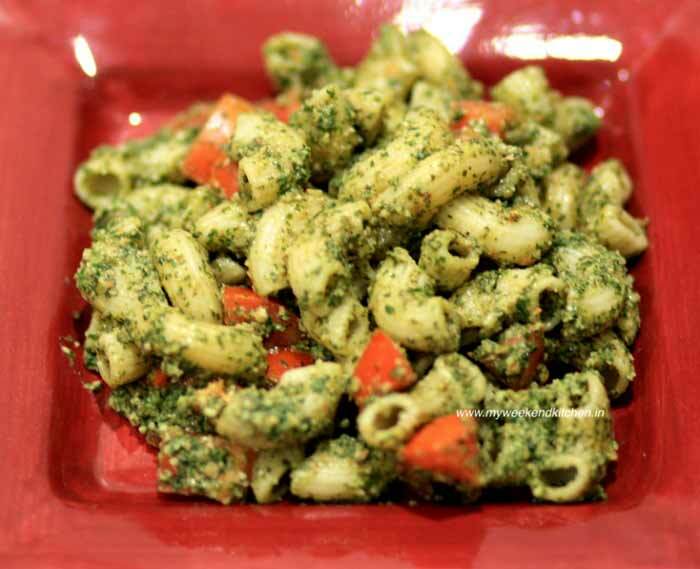 * Toss the pesto with chopped tomatoes and cooked pasta.